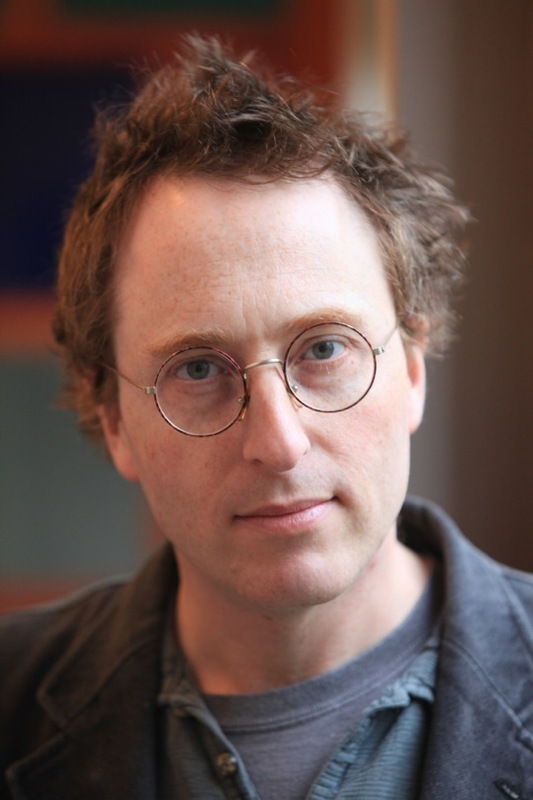 Jon Ronson is one of those writers who embodies what creative nonfiction is all about by demonstrating just how strange and wonderful the world can be. A Welsh journalist, documentary filmmaker, radio presenter and nonfiction author, his books include Them: Adventures With Extremists, The Psychopath Test: A Journey Through the Madness Industry and most recently Lost At Sea: The Jon Ronson Mysteries. His book The Men Who Stare At Goats was turned into a movie starring George Clooney. You can learn a lot more about him here. I saw that you have a standing reply on your website that you will not investigate people’s claims that they are victims of mind control. Aside from that, what personal information do your readers tend to volunteer to you most frequently? That they are married to psychopaths. Or that they&apos;re worried they may be psychopaths. There is an adage in psychology that if you&apos;re worried you may be a psychopath that means you aren&apos;t one. Because psychopaths never worry about being psychopaths. They&apos;re FINE with it. Which makes me suspect that psychopathy is the most pleasant feeling of all the mental disorders. Isn&apos;t it interesting that so many people share the exact same delusion - that they&apos;re being mind controlled by the CIA. When our brains go wrong they go wrong in uncannily similar ways. It shows that we aren&apos;t all individual snowflakes. My guess is that some of the people who believe they&apos;re mind control victims actually suffer from a rare disorder called Delusional Disorder. The symptoms include &apos;non-bizarre&apos; delusions. That delusion is non-bizarre because some people over the years HAVE actually been mind controlled by the CIA. Of the different cultures you’ve written about, what have been some that seemed most tempting to join up with, even if just in theory? I had a good time writing the story Running Through Cornfields for my first book, Them, about Rachel Weaver, one of the survivors of Ruby Ridge. But that&apos;s just because I liked Idaho and Montana. The rivers and mountains. But I guess that&apos;s not a great reason to become a white separatist. Anyway, they&apos;d never have me. But the thing I&apos;m always looking for is an adventure that might become a book. Whenever I do a documentary or a feature I&apos;m always wondering if it could be a rabbit hole that takes me to a book. I remember asking Christiane Kubrick - when I was making my film Stanley Kubrick&apos;s Boxes - what her husband was looking for during those ever lengthening gaps between films. She said, "The magical moment of falling in love with a story." I know that feeling well. Whenever I start a story I look for that magical moment of falling in love with it enough that it may become a book. Who are some of your "favorite" criminals ("favorite" of course meaning compelling, not as in you’d want to move in with them). I loved my adventures with David Icke and Alex Jones in Them, infiltrating Bohemian Grove with Alex. Not sure he counts as a criminal. Tony in The Psychopath Test. I liked him personally, and also he was mysterious. He claimed to have faked madness to escape a prison sentence and now he was stuck in a hospital for the criminally insane and nobody believed he was sane. I loved trying to work out if he was insane or not. It opened up such an interesting area about how we view and judge other people, how we read between lines, how morally corrosive it can be. If you had to teach a ten-minute course on interviewing, what advice would you be sure to impart upon your students? This could be terrible advice, but don&apos;t plan any questions in advance. That way you have to listen. You have to be a twig in the tidal wave of the conversation. But not preparing any questions doesn&apos;t mean don&apos;t do research. Do lots of research, just assimilate it, rather than plan and structure the interview. As I say, that might be the worst advice. You immerse yourself so fully in the stories you write. What have been some scenarios where you were conducting research or interviews and then found yourself in a potentially unsafe environment? The most recent time was writing The Amazing Adventures of Phoenix Jones, which is in my new collection, Lost At Sea. He&apos;s the real life superhero I was patrolling with in Seattle. He took me to Belltown to break up a gang of armed crack dealers. They were, "What the f*ck are you doing coming here in your costumes? This is not fun and games to us. If you don&apos;t get off our block we&apos;re going to shoot you." And Phoenix said, "We&apos;re staying." Nothing. I&apos;m watching Freaks and Geeks on Netflix. I think it&apos;s just about the best thing I ever saw. It breaks my heart that they only made one series. It makes me feel so helpless that I can&apos;t go back in time and fix it so they made more. It&apos;s like finding out someone died. Although I did notice one or two jumping the shark moments in the last episode or two - like James Franco liking Dungeons and Dragons. So maybe it was for the best that it died young and left a good looking corpse. Do you stay in touch with anyone you write about? I would like to stay in touch with everyone. I consider it a real honor and compliment if people want to stay in touch with me after I&apos;ve written about them. Even if we massively disagree with each other politically, I always think we&apos;ve been thought something intimate together when we&apos;ve had some kind of encounter or adventure. They feel like family members. Ha. Last few days I&apos;ve looked at the disappearance of Maura Murray, workplace bullying and Amanda Palmer. What’s a potential story topic you figured would be rich for material but turned out to be relatively banal, and then another where you stumbled upon a wormhole in an unexpected place? The saddest example of a story that went nowhere was the months trying to write a book about the credit card industry. This was before the crash. I realized was that all these people who work in the credit industry – the list brokers, all these people who’ve got these devious tricks to keep us ensnared – are really important. But they are also incredibly boring. They couldn&apos;t light up the page for me. So I abandoned the book. And instead I went to Alaska to write my story Santa&apos;s Little Conspirators, that ended up in Lost at Sea, my new collection. That was about shenanigans in a Christmas theme town. The opposite - a story I wasn&apos;t into but turned out to be extraordinary - was going to Hawaii to interview a soldier called Glenn Wheaton. He had been part of the US Military&apos;s remote viewing program. The psychic spies. I really didn&apos;t have any interest in them. The writer Jim Schnabel had already written a very intricate book about them called Remote Viewers. I felt like I was telling a story that was already known. It was really miserable for me. While I was interviewing him we got talking about the &apos;other stuff&apos; they were doing. He said they were trying to become invisible and kill goats just by staring at them. So the wormhole opened up. And I ended up writing The Men Who Stare At Goats. Factchecking your work must be thrilling and exhausting. Which stories of yours were the most difficult to clear before publishing? I don&apos;t remember ever having much of a problem. I&apos;m pretty assiduous when I&apos;m gathering the stories. So fact checking is usually fine. How does it feel to be the 348th person interviewed for Zulkey.com/WBEZ?